« Why am I praying for Brandon McCarthy? Storm Chasers win American Conference, finally, in Albuquerque! When I’m watching or listening to sports and I’m nervous about the outcome, I knit. Today, in the wake of Albuquerque’s stunning comeback win last night, I knitted almost an entire scarf as I listened to the Storm Chasers play Game 5 of the American Conference championship. Even when Omaha jumped out to a 10-0 lead, I knitted. After last night, we know there’s no such thing as a safe lead, especially at the Isotopes’ house. Let’s look at some of the top contributors for Omaha, who will play at Reno on Tuesday and Wednesday nights, then back home for game 3 (and beyond if necessary) Friday night. 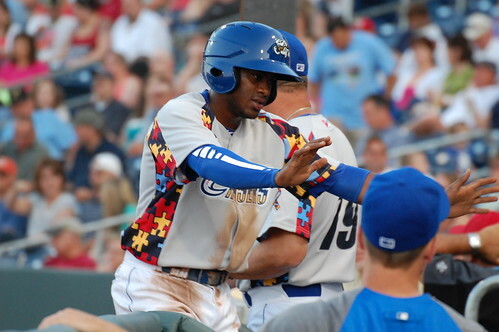 Irving Falu only had one hit in the 16-7 win, but he walked FOUR times prior to collecting it. 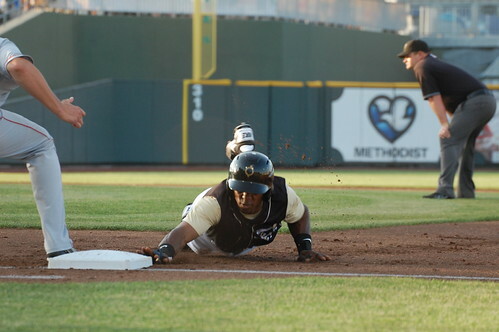 One of his walks came when an Isotopes pitcher threw behind him in apparent retaliation for Jason Bourgeois stealing a base even though Omaha had a huge lead. Real mature, Isotopes. 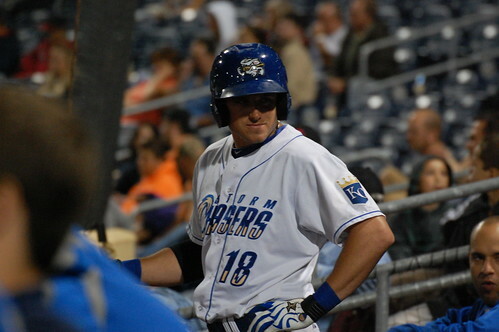 Wil Myers had a three-hit day, including a 2-run home run. He also had a catch on the center field hill in CF (think Minute Maid Park) that Mark Nasser described as one of the best catches he had seen, and he’s seen a lot of catches. I’ll pass along video if any footage surfaces, but highlights from road games are like unicorns, so we might have to just imagine what the catch looked like. 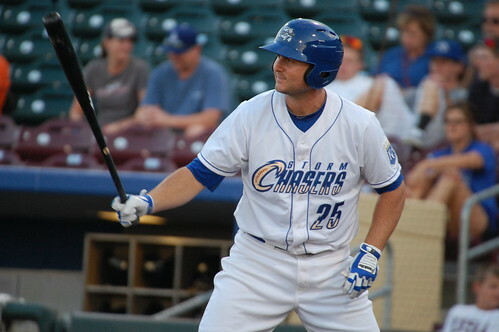 Clint Robinson collected three hits, all singles, in his first game back from a bruised heel that left him too hobbled to walk through the airport the other night. Welcome back to the lineup, C-Rob! 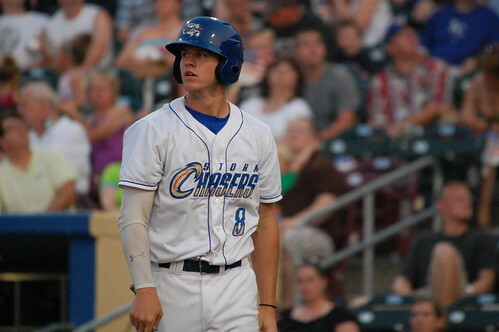 Mitch “MITCH” Maier had FIVE hits today, including a two-run home run. He drove in four runs but scored only the one on his own dinger. Jason Bourgeois tripled twice, which is super impressive, and also singled. 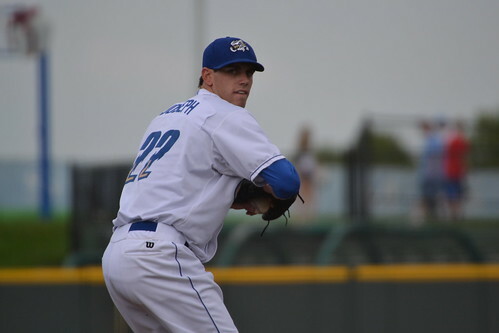 Justin Marks made just his second AAA start ever, in an elimination game the day after his brand-new teammates lost in the most stunning fashion possible. He pitched 4.1 innings, and was actually cruising until he hit Matt Angle with a pitch to start the fifth. Though he’ll probably never admit it, it was believed to be in retaliation for Irving Falu having a pitch thrown behind him. He’s so new to the team that I don’t have any pictures of him. Donnie Joseph relieved Marks in the 5th, then dominated through the 6th and 7th as well, just for good measure. In those 2.1 innings, he struck out seven Isotopes and walked zero. Nasser said that catcher Adam Moore stopped framing pitches for Joseph at some point, and just set up in the middle for every pitch and “let Joseph’s stuff do the work.” So apparently his stuff had quite a bit of life today. More of that, please! The Chasers players are likely in the midst of their champagne celebration in the visitors’ clubhouse in New Mexico right now. Since I’m not there, we’ll just have to imagine what it looks like by revisiting images from their celebration from clinching the division title. I hope someone remembered to pack the vuvuzela beer bong. Congratulations to the Storm Chasers on their 2nd-straight conference championship, and let’s raise a Sunny D jug in hopes that they can add another ring next weekend! Game time for Tuesday in Reno has not been set yet, but will likely be 9:05 Central time. Super awesome Storm Chasers photos!